Next we’ll try to add a link to JIRA issues More Actions menu, which will do a Google search on the current issue summary. 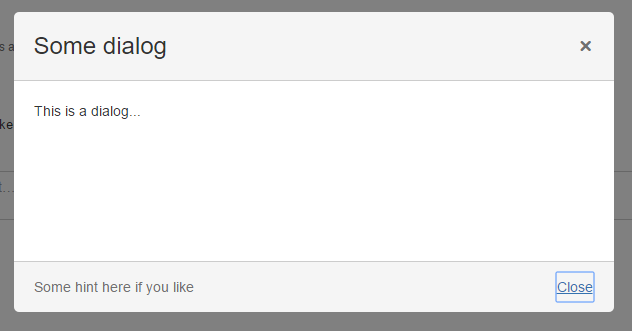 Verify that this works by browsing to: http://<jira-url>/rest/scriptrunner/latest/custom/approve?issueId=12345. It should simply respond with some JSON. If you are doing something with the issue be sure to enter a valid issue ID. The problem we have now is that will probably want to limit approving an issue to just those in a certain group, or with a certain project role. Also, we don’t want to show the menu item if the issue has already been approved. Which brings us to Conditions. 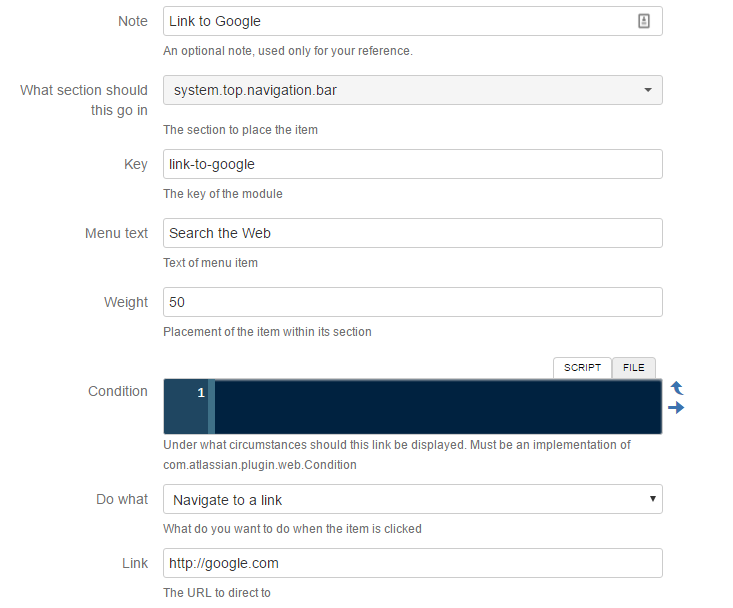 The condition is used to define whether the link should be shown or not, and it can use anything available in its context, plus details of the current user. If the item is on an a view-issue page, you will get the issue. If it is on a project overview section then you may only get the project. 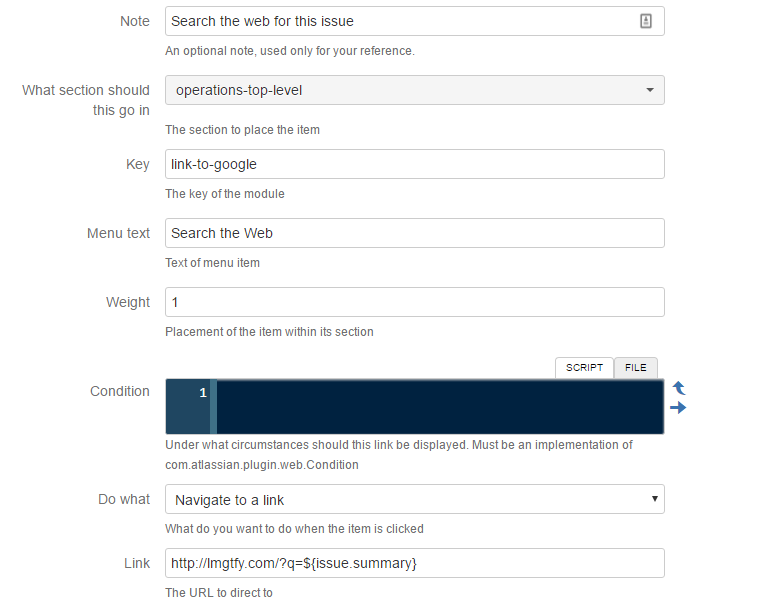 In JIRA, you are provided in the binding with a jiraHelper object, which is an instance of JiraHelper. You can use its methods to retrieve the current project etc. If the issue is available in the context, then that is bound in the script as issue. This means that you can reuse most of the conditions from workflow functions etc. The issue will be available when selecting a section like opsbar-operations, that is, sections that only appear on the View Issue page. You should be able to see now that it doesn’t appear when the issue is not already labelled approved. For instance, a link in the top section (system.top.navigation.bar) will never have access to the current issue. This differs from the Confluence behaviour, where it may or may not have access to additional items. If you are using a section like operations-top-level, you can assume you will always have the issue context variable defined.